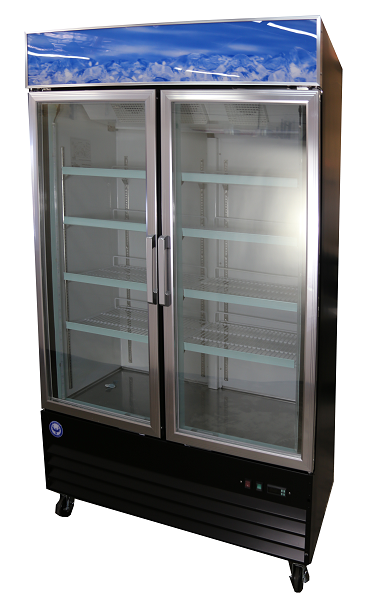 New Commercial Refrigerator by PURE Manufacturing of Phoenix AZ, In Stock NOW! 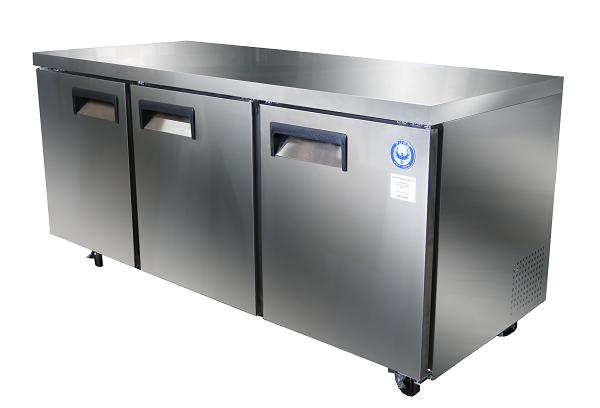 If your market or restaurant is looking to have carry out merchandise our black 2 door merchandising cooler is ideal for your situation. This unit features a modern black finish and two anti-fogging glass doors for easy visibility, it also offers 29 Cu.Ft of space. This merchandising cooler features 8 shelves to allow product separation and interior LED lighting to make your products stand out. It also features a lighted top graphics display to draw customer traffic. 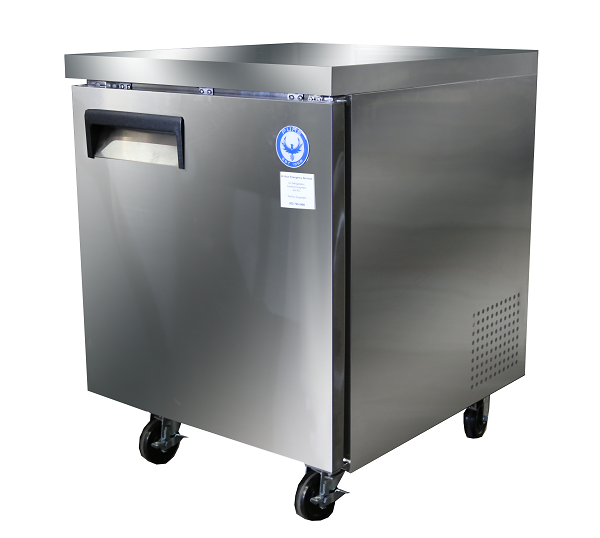 Be the first to review “PGDR29 29 Cu Ft Glass Two Door Merchandising Cooler” Click here to cancel reply.